These finely crafted solid wood panels give every mount that finished look. Enhance your mount with these beautiful grained wooden ovals. These panels are sure to please. Beautifully weathered cedar driftwood from the rugged Texas hill country. Each piece is carefully selected. 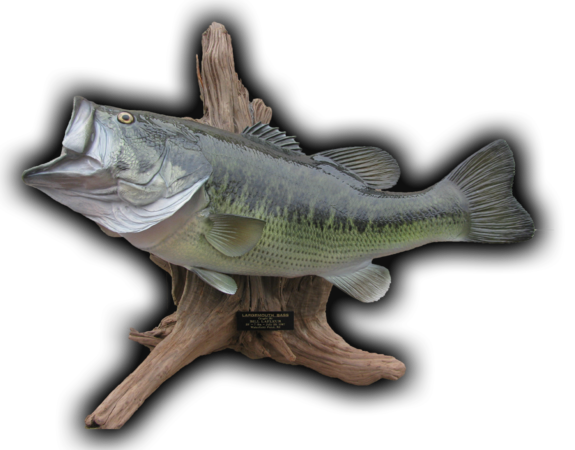 Precision cut to sit flat in your habitat, or hang on the wall. 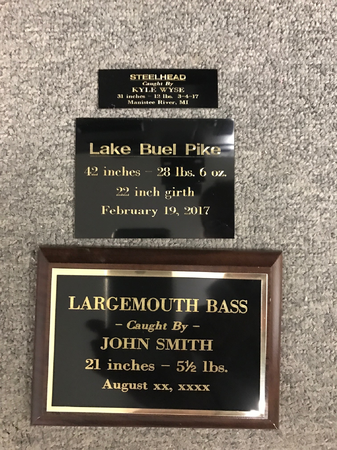 Ideal for all fish mounts. 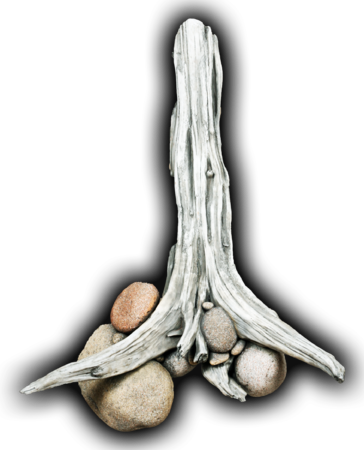 This extremely versatile driftwood rock scene gives an added enhancement to your driftwood and fish mount. 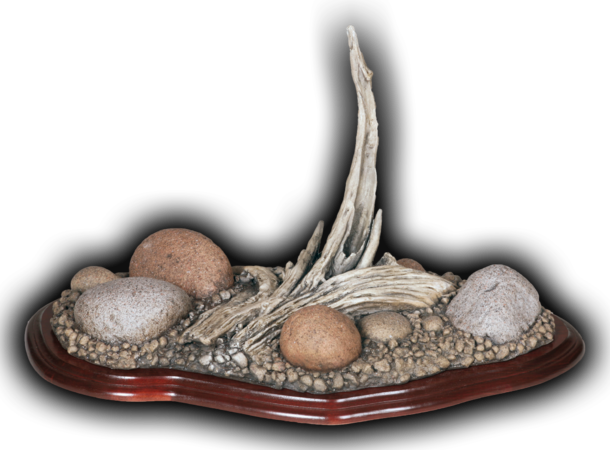 These beautiful rock scenes are wrapped with cherry wood finish. 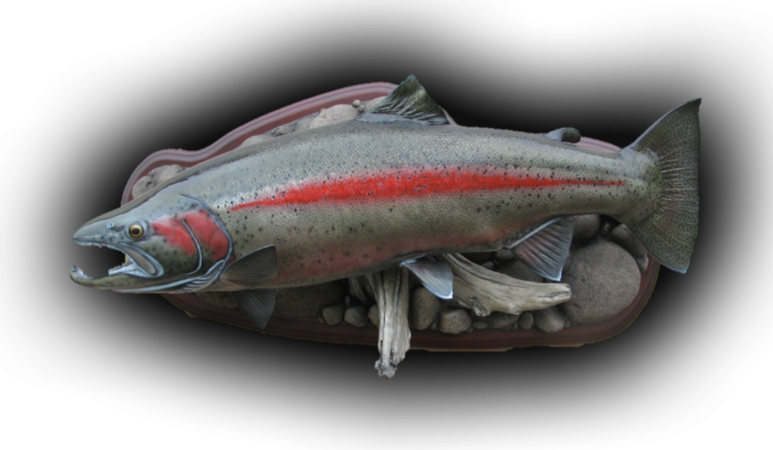 Available in different sizes to fit your fish. 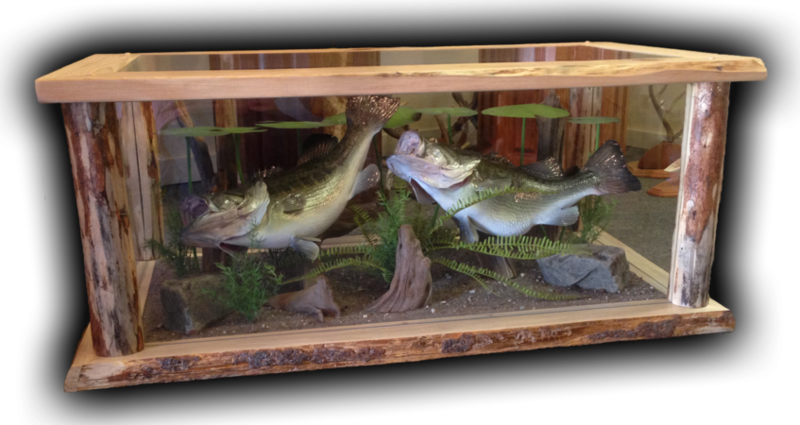 Create a great looking base for your mounted fish. This will really make them come alive. 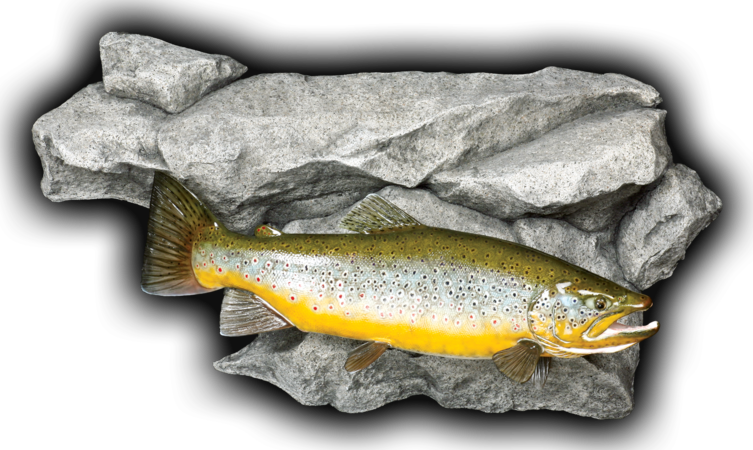 These rock scenes are extremely realistic. A base designed to fit a mantle or shelf. 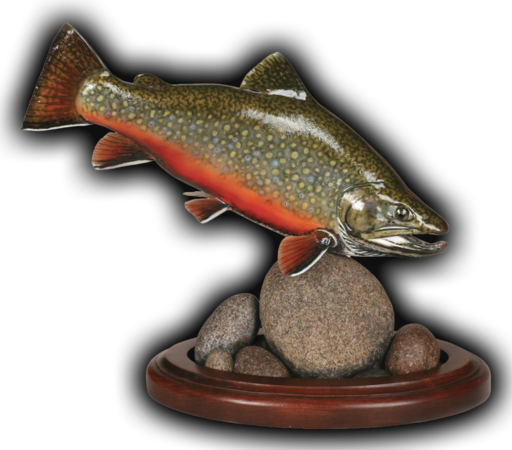 Extremely realistic with cherry stained wood base. Another option River Rock Scene. Oval shape with walnut trim. 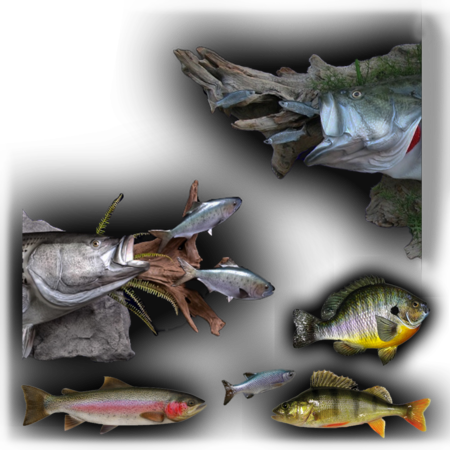 Add realism to your fish mounts and fish habitat scenes by including one or more baitfish. 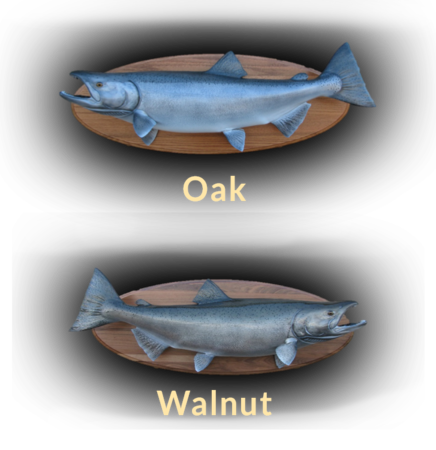 These baitfish have extreme detail and will enhance any fish.